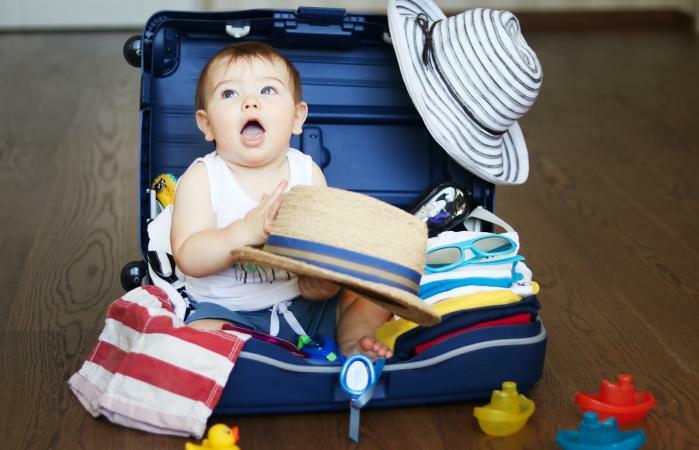 A focus on baby safety is a good place to start in choosing summer baby products such as skin care, diapering, clothing, and transportation. These items can help ensure your baby beats the heat and makes the most of warm summer fun. The everyday care of your infant or older baby may change slightly during the summer months because of higher temperatures and sun exposure. While there are plenty of novel and innovative products on the market, these are the ones you actually need to have a great summer. Some of your basic baby products simply need an upgrade to summer versions. Swim diapers: Any baby with a swimsuit should also have a swim diaper or swim diaper cover on to prevent waste from entering public bodies of water. Wipes: Opt for natural versions that contain aloe to help soothe skin and keep any harsh chemicals off sensitive summer skin. Short-sleeve onesies: You don't want to overdress baby, but you still need to protect her skin from the elements. Brimmed hat: Look for a wide brim that can protect baby's face and upper body from the sun. Muslin sleep sack: Although it might be warmer at night, you'll want to make sure baby stays warm with a lightweight sleep sack he can't kick off like a blanket. Lightweight blankets: Use them to swaddle baby or as a barrier between her and the grass, dirt, or sand underfoot. Hooded towel: Summer is full of water play so keep baby warm after a dip with a hooded towel that keeps their body heat in. Insulated sippy cup: If your baby is over 6 months old he can stay hydrated with cold water in an insulated cup. Zinc cream: Keep summer rashes and chafing in check with baby creams containing zinc. Car window shades: Keep UV rays off baby and sunlight out of her eyes while you're traveling. Room fan/air conditioner: Overheating is one of the risk factors for Sudden Infant Death Syndrome. Babies cannot yet regulate their own temperature; they need your help in this department. Portable fan: You can find clip-on versions that help keep baby cool on the go. Play yard: For times when you will stay outside for extended periods it serves three functions: sleeping, playing safely during the day, and a changing table that sits on top of the playing/sleeping area. You won't use many of these products outside summer months and warm-weather vacations. Baby sunscreen: Babies should not be exposed to direct sunlight, but when they are they should be slathered in baby sunscreen as long as they are over 6 months old. Baby bug spray: Keep mosquitos and other nuisance bugs at bay for babies over two months old. Baby sunglasses: Many brands have elastic bands to help keep the sunglasses on baby's face protecting her eyes from the sun and debris like sand. Baby swimwear: When in the sun, long sleeve swim shirts are preferred to protect baby's delicate skin. Soft shoes: For babies who are starting to stand and walk, protect their feet with soft, breathable shoes. Lightweight carrier: If you're a baby wearer you'll want a breathable, lightweight, water-friendly version for summer to keep you and baby cool and comfortable. Beach umbrella/tent: Families spending most of their summer at the beach will want to invest in a man-made shade to protect baby from the harsh sun. Stroller canopy extender: Standard stroller canopies really only protect baby's upper half. This extender ensures his whole body is protected without adding extra heat. Car seat cover: As with stroller canopies, car seat canopies can't protect your baby's whole body. 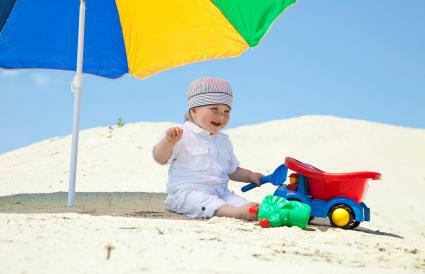 A lightweight car seat cover can protect baby from sun, sand, and bugs. Car seat liner: The thick, dark fabric of baby's car seat can get really hot in summer and doesn't create a lot of air flow. Cooling car seat liners ensure baby's seat is cool all the time. Summer Infant is a trusted brand for baby and toddler products from a variety of categories with over thirty years in business. Products can be found at Target, Amazon, and most other big-name retailers. From toys to toilet training and beds to booster seats, they carry it all. If you purchase specific products such as a Summer Infant video monitor or car seat, you can use the Summer Infant Registration page online to receive safety alerts or recalls for that specific product. Summer Infant's customer service can be reached anytime via an online form or email. You can also call the Summer Infant phone number at 401.671.6551 during standard weekly business hours. For all your baby's summer skincare needs, California Baby has got you covered. For over 20 years this sunny brand has been innovating pure and safe skincare solutions for the whole family. Products range from bath washes to diaper creams and Eczema lotions to bug sprays. You can find California Baby skincare items at select Target, Whole Foods, and Bed Bath & Beyond stores. Every order comes with two free samples of other products or you can email California Baby customer service to request specific samples. Daily life in the summer with a baby can be lots of fun, but it takes a bit of extra preparation. If you have the right gear for your baby to enjoy the summer you have the peace of mind that your child is safe and happy, which allows you all to enjoy the summer sun, time off, and time spent together.